The role of a sports coach involves among other aspects, paternal surrogacy and the role of whipping boy. There are times when the pressure to win and so great are parental expectations and dissatisfaction that even greater burdens are added to an already challenging task. All of which is to say that the men and women who to take up this kind of life’s work are special. We listened to the man because he had something to tell us, and us alone. Not how to play baseball, though he did that better than anyone. Not how to win, though winning was wonderful. Not even how to sacrifice. He was teaching us something far more important: how to cope with the two greatest enemies of a well-lived life, fear and failure. To make the lesson stick, he made sure we encountered enough of both. I never could have explained at the time what he had done for me, but I felt it in my bones all the same. 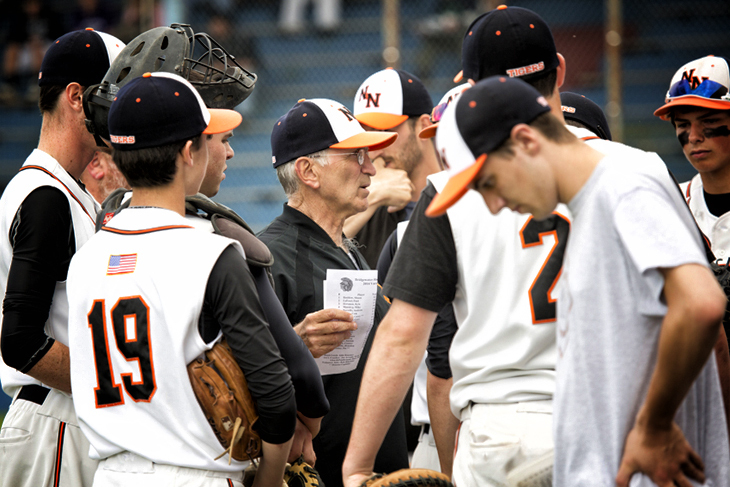 Coach Joseph Siciliano is one of the people that has dedicated a lifetime to his work.He has coached the Newton North Baseball team for thirty years and has been enshrined Massachusetts Baseball Coach’s Hall of Fame. 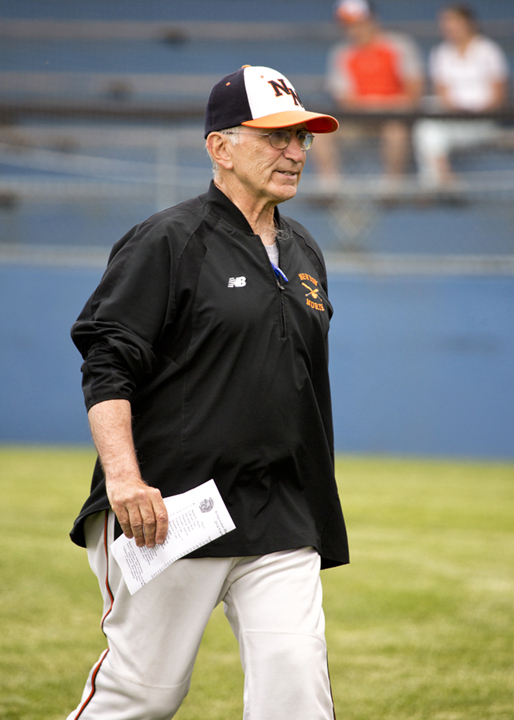 Coach (at some point that rubric takes on he role of an honorific) has experienced a full range of coaching experiences including the rare accomplishment of leading the Newton North Tigers to a State Championship. A short while after that we sat down to chat at our local coffee shoppe, The Keltic Krust. RB: I know a few things about you— I know that you recently won your 300th career victory as a coach. 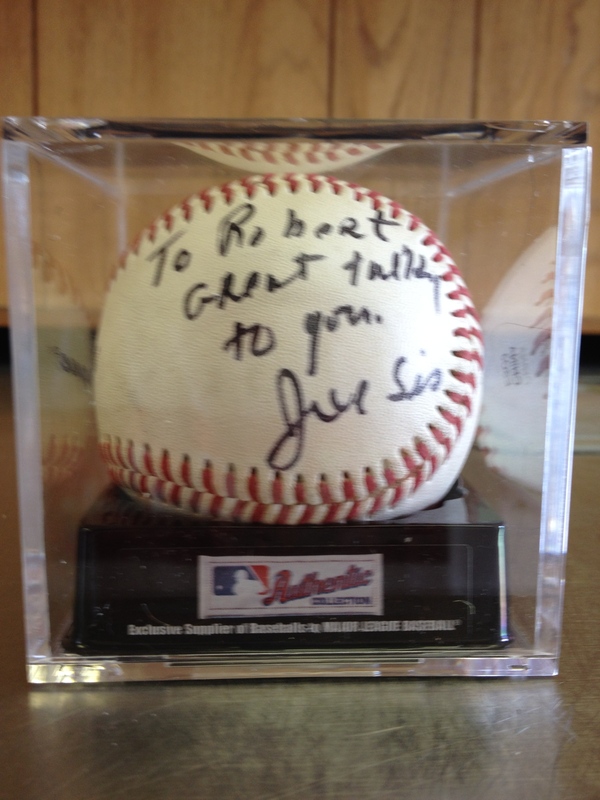 And, you’re in the Massachusetts Baseball Coach’s Hall of Fame. RB: And you were at Ted Williams’s last game at Fenway Park. A momentous event. JS: I saw it. Yes, it was. RB: So fill me in. You were born where? JS: In Boston, in 1946. Grew up in the North End until the 4th grade. Then we moved out to Newton. I had four brothers and one sister and most of us went to Sacred Heart High. My father taught at BC, so 5 out of 6 of us went to Boston College. RB: So, you are pretty much a homeboy. JS: Absolutely, absolutely. I always kid around that when I go on vacation I go out west to Framingham. RB: How much has baseball and kid sports changed since you began coaching? JS: You know when I first started coaching, even when I played—kids would say, “Okay it’s baseball season” and they would pick up a baseball bat. [Okay]It’s basketball season, “Let’s shoot.” Now in order to prepare for a sport you really —its like the pros. They used to just show up[at spring training], they used to sell cars in the off season. Now they hire nutritionists and trainers. It’s not gotten that bad in terms of high school sports but you know [that’s] what the kids are doing in the off season. And it almost prevents kids from being three sport athletes. It does. Two, the kids still can do it. Certain sports you can do it—football you just need the strength training. That’s good for everything. And then you can play another sport. RB: You could still do those three. RB: Why is that? Totally different physical attributes? JS: Yea, in order to shine at baseball you have to be in the batting cage —it’s a skill. Basketball you have to be shooting all the time. RB: I guess Michael Jordan [Jordan tried to play pro baseball] would be a prime example of what you are saying. JS: You know something, I worked for the Newton Recreation Department when I first got out of college— I taught and worked. And the parents would drop their kids off at the playground. We would have at Newton Center Playground two teams, an A and a B, under twelve year olds. And we would play other playgrounds. 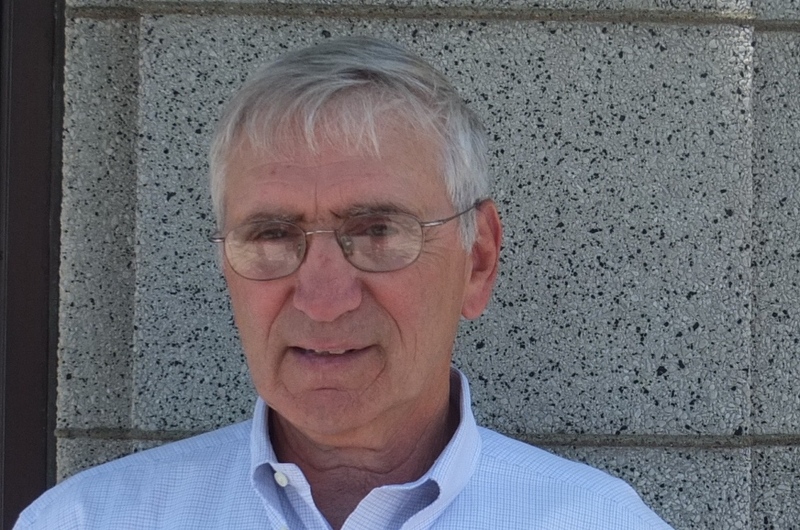 Now the Commissioner Russ Halloran said, we‘ll never see the end of this and he predicted there would be [baseball]camps and that’s what’s going on. At West Newton Common, right over there [Keltic Krust is a block away], from sunup until sundown, kids would be playing. Parents wouldn’t drop their kids off now. I can remember growing up in Newton Center— there were 6 kids in my family and we were the small [family]. There were the Eagans with 15 …and parents would drop their kids off. That’s how things have changed. cashing in on their names. But now everybody and their mother has an AAU program. It has become a big business. JS: Absolutely, its big business. Okay, so you have your AAU programs right. There is an AAU guy who has just bought or developing a 20 million dollar complex in Northboro. It has four fields plus a medical office building where you get treated if you have a sore arm or something. Its incredible. RB: If you spend 20 million, what does you revenue stream have to be? It’s a truism to say that money has corrupted pro sports. Money has corrupted college sports. Has it affected high school sports? JS: It really hasn’t. Here’s the thing. An AAU program might cost 3000 to 4000 dollars. To me, it keeps the kids focused. It keeps them out of trouble. You don’t need a therapist. I mean really it is something —its not a bad way to go, if you have the money. RB: When the parents are spending that kind of money the dynamic changes—their commitment to the sport changes. RB: You pointed out to me that some of these programs perhaps are telling their players that they are better than they are. JS: Whether you want it or not, there is always that thought that people running AAU are telling kids they are better than they are. Also, the kid listens to what he wants to hear and I think—I would hope for the most part at a certain point a youngster would say, “You know something, those kids are better. I am not going to get caught up. Let me look into something else.” I had a kid [on the high school team]who did AAU but he saw the writing on the wall. So what he did this year was, he was our manager. And he held a job. He’ll play summer ball. He had a real mature response to what was going on. You would hope that there’s adults in his life, who say, ”Here are your choices.” Which I think there were. 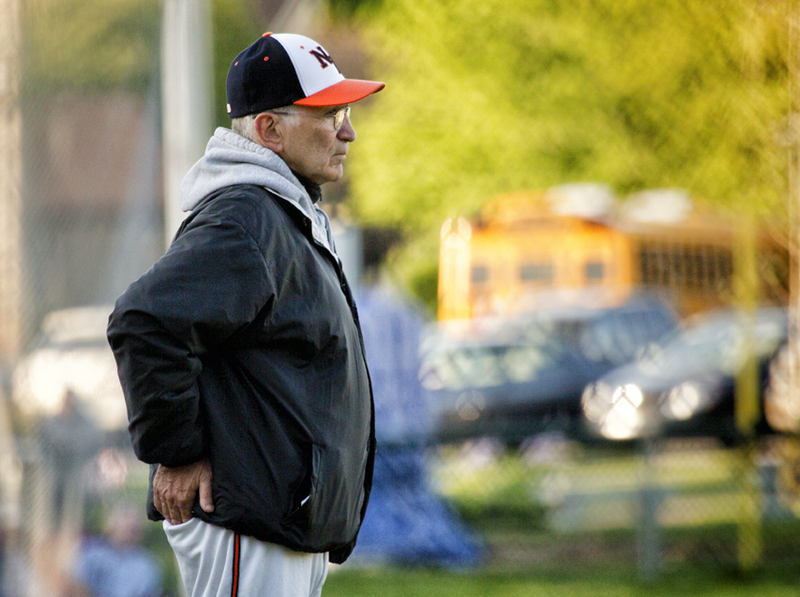 RB: In watching the Newton North baseball team I noticed you stress building a team—everyone has a job to do. Your vision is not to train future major leaguers. JS: No. Some might end up there. But you know what is interesting—I’ll give you a great case in point. We always pride ourselves in saying we are going to work from 1 to 20 with your kid—we have 20 kids on the team. And there were times this year when we needed somebody. Because of injury or this or that and we coached that kid as though he was a starter. That’s one issue. The other thing is —I don’t know if you have seen the teams we played against but they have adult coaches on the sidelines. 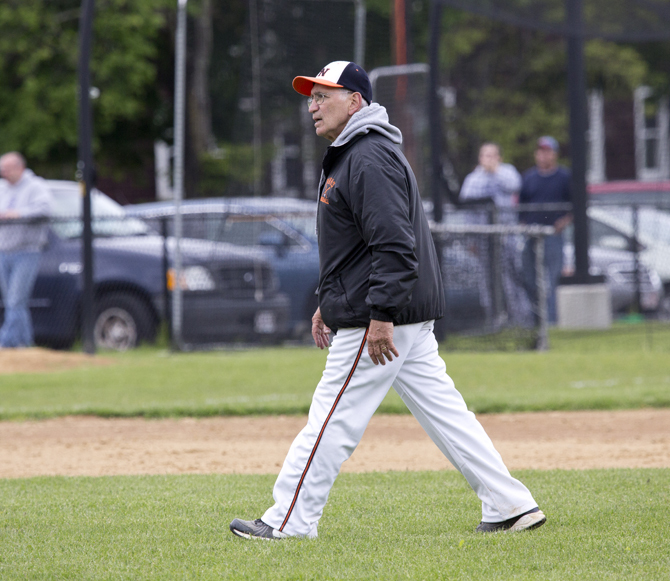 We have kids coaching and our 3rd base coach this year didn’t play very much but he was an integral part of the team. We picked off people at 3rd base. We never got picked off. We doubled people up. We didn’t get doubled up. Because of our kid coaches, who we value. And so we try, 1 through 20, to give them a job every game. Its something we have done all the time. RB: I guess it should be obvious, but what is the feeling like after a championship season? How much different is this than your 29 other years of coaching? JS: After this season, and I think there were even some kids that felt this—”we don’t get to practice tomorrow?” We just had a good time. And this isn’t true of every team —it makes it easy when you win. But the kids, I thought, worked hard at practice and had a good time. We use humor. At the end, personally I went, “No practice tomorrow, what are we going to do?” There was elation etc. etc. that we finally did it but there was, ”We love baseball what are we doing tomorrow?” Of course, half of them went on to the AAU season etc. RB: What are you going to do? JS: I have the greatest summers, I really do. I just go watch the kids play. Sometimes I sit with the parents and criticize the coach too. (both laugh) [No]I don’t do that —maybe I think it. RB: What do the players take away from this kind of season? JS: That’s a great question. You’d hope—whether they do or not that the big thing in life—what to do when things are not going your way. That’s the big thing— hopefully, you just keep plugging at it, look at the positive. See how you can improve and one of the other things is, don’t think so much of the future—the end result. Just go out there and do a good job. And hopefully, these lessons—it all came to fruition. But even if we didn’t win it. The kids were the same. There were many, many cases where things weren’t going our way but somebody picked us up. Through positive energy. JS: Absolutely. Because of our baseball I didn’t watch the finals until last night. It was amazing. Have you seen our basketball team? You have to go see them. They were—that’s what we do. We do have an outstanding scorer…but everybody has a part.That was amazing —just watching the difference it will be interesting, next year or the year after, are people going to pick up on what they [ the Spurs] are doing. And will we see better basketball? RB: The Spurs having been doing what they do for a long time. Finally, there is the recognition. RB: This is speculative but next spring you show up a the field the first day and you have bunch of kids— where do you start? Do you talk about the championship season? JS: I don’t know. There were things—there were strengths of this team , okay. And you really can’t match the strengths that we had. But where we were weak maybe we can build that up. Maybe we won’t be as strong, for instance with pitching but if we can get to certain level and then pick up some other stuff. And again, our goal every season is to be competitive in every game. That’s all we want to do, you know? JS: Yeah, I know people say that now we have target on our back. But how does that motivate the kids? No, we have to play our way. I’ll give you a great case in point as the head coach. Ready? I have Tommy Donnellan, I have my JV and freshman coaches working. They give those kids discipline. They teach them fundamentals. What does a head coach do?— when they are playing a team that wasn’t that good you get the kids up. When you are playing a team that’s very good, calm them down. And you just go out and play fundamentals. What we teach them, that’s what we do. One of the big things is we do not emphasize the results. Our whole thing with at-bats—don’t worry about striking out. Your at bats are information gathering. RB: How much has the sabermetric movement affected baseball at the high school level? JS: You know something, they do that over many, many baseball games. So then they say this, they say, which I don’t agree with, at the major league level that you will score more from 1st with no outs, than 2nd with one. Therefore, don’t bunt. At the high school level, bunt. Because they are kids and they will throw it[the ball] away. But there certain other ideas like getting [deep]into a count. One of the things we look at is—we had a kid do stats, he wanted to major in statistics in college—one of the big ones [stats] we had him look at, when you have 2 strikes how many more pitches do you make the pitcher pitch? And its good because the kids know we value that. RB: Today on base percentage means a lot— I don’t know if it is a more valuable metric than batting average. I am still amazed by Ted Williams’s life time on base percentage—.442. That seems more valuable than his other achievements. RB: Did you aspire to anything else? A college coach? JS: No, you know what it is it—when I was in high school, I wanted to be a major leaguer. 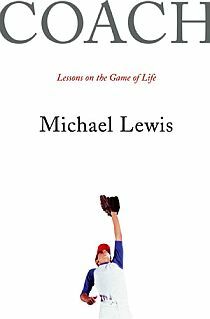 Once I was not going to be a major leaguer —well, I wanted to do something that deals with sports.” How ‘bout being a coach? Wait a minute if I am going to coach in high school I have to teach.” What were they looking for back then? Math teachers. And its interesting— I teach math but there is a correlation, I find in terms of the way you teach math and the way you teach sports. There is a system. What happens when there is a deviation ? How do you handle that? RB: Sorry, you will never convince me that you need algebra. RB: I have gone my whole life without using Algebra. Now the emphasis on the Core claims you need Algebra to succeed in life. Really? JS: All that is, is thinking logically. Solving problems, that’s the whole thing. And where in Algebra you have to memorize some stuff and use that stuff if you already knew that stuff —its logic that’s all it is. RB: So you became a math teacher as pathway to coaching? JS: Don’t tell anybody this? (laughs) I ‘m kidding but its true. Here’s a case—I would start a problem—I wasn’t that good in math but I’d start a problem and all of a sudden it’s 3 o’clock in the morning. I found it fascinating. So time flew when I was doing math. That’s why I kind of liked it. RB: I imagine coaching sports is now valued as much as the teaching the curriculum. Maybe in some places, more. RB: What are your thoughts on the diminution of the popularity of baseball? JS: I have been talking to the Little Leagues and they are losing a lot of kids. And the thing is I can live with that as long as the kids who are playing now are passionate about it. It is one tough sport. Plus, the way kids who are brought up now, they are easily frustrated. The failure rate in baseball is 70 %. RB: I see it now as a Little League umpire. Most of the kids have to stand around waiting for something to happen. That’s why I pointed my own son in the direction of being a catcher. JS: Yeah (laughs), Its interesting — a lot of these lacrosse players,if they ever were catchers they would still be playing baseball. But you put them in right field or center field—it takes an interesting individual. Some of the fathers, “my son is interested in baseball, you like those kids and if they can play that’s even better. You like kids who are watching the Red Sox or this and that. RB: I have been very surprised at how few kids watch baseball games. So when they came to play, they have no idea what was going on, on field. JS: When we were going up if we could watch a game on television it was so much fun. Now, you ask the whole team, 1 through 20, anybody watch the game last night? Well, they are doing homework but did anyone watch a couple of innings? RB: Or even listen to it on the radio? Some announcers are better than TV. JS: I watch MLB TV and there is a game every night. I’ll tell you, how can I get mad at my players when they are doing something stupid when I see the major leaguers—oh my goodness. You see some of that stuff—not knowing how many outs there were, things like that. RB: I was watching the highlights of [Yoenis] Cespedes’s latest outfield assists. Gunning down runners at the plate with a 300 foot bullet from left field. JS: Oh my goodness. Just unbelievable. RB: It’s great to watch pros with a passion for the game. JS: Yeah, we have Dustin (Pedroia). You read about him—he gets to the field early. And just loves to be around the game. RB It’s a joy to see in Little League, although some of the parents need to tamp down their passion. JS: I’ll tell you there is a community that we’d play against. I can remember when my kid was little, the coaches for this community, they were so intense and the kids were so tight. Meanwhile, they had an article a few years back about how Little League was going down, the kids don’t want to play because its no fun. You hear these stories about Little League parents are yelling at the kids and that’s a shame. The kids want to have fun. RB: But now they have choices— lacrosse, soccer, hockey. JS: Auburndale was hotbed of hockey and we were very, very good, way back when, in the 50’s. Legendary names but we don’t see that anymore. RB: In Newton when you go to a football game its like Friday Night Lights. The town turns out. I don’t see that for baseball. JS: You might have gone to the night game when everybody shows up. Maybe not so for afternoon games. RB: Maybe not midweek but Saturday games same thing. JS: Here’s the thing, in baseball think about the weather that we have to play in. So that’s number one. But number two, think of the time of day we play. 3:45. RB—By the way, what happened here? No lights for the football filed, no lights for the baseball diamond. Why? JS: Ah, this is Newton. You’d have to have an act of God to get something through like that. I mean, really and truly. We play Norwood ,okay. On a Monday. 300 or 400 people show up at that game at night. If you have lights …on a Friday night we’d have 500 people watching our team. RB: There was a rumor floating around that Pepsi had offered a deal to put an electric scoreboard at Albemarle in exchange for the usual considerations [logo placement]. JS: Yeah, yeah, yeah. We hear things like that. RB: I thought that corporate branding was verboten on school property? JS: Theoretically, but you can get a waiver —there is one at the [Newton] South field. So I am sure you can get a waiver. But historically Newton does not encourage that type of stuff. RB: So you’ll watch baseball all summer . RB: And in the fall? JS: I go watch football. (both laugh) And I teach math. You know what’s funny, a lot of our kids play football. If they played soccer I’d go watch them play. Its good to see them play other sports, to see how they handle adversity and how they handle other coaches. And they are not using the same muscles—they are using different muscles and for baseball that’s a good thing. RB: What sports do you like? JS: I coach the JV basketball and we have a terrific head coach. You learn a lot about working with kids. RB: I am told that because of Newton North’s special ed program lots of families try to move into the school district and 600 out of 1800 students are in special ed programs. JS: When you say special ed, its different today. Say a kid has a tough time finishing tests. Because he processes a little more slowly. So they call [the programs dealing with ]that special ed. Ten years ago, fifteen years ago that would n’t be special ed. There are severe cases and the there’s stuff that you and I probably have. I found very bright kids, if you just say “slow down.”,they can do very,very well. RB: It seems lots of things were not previously diagnosed. Anger management? Was there that when we were kids? RB: What is your sense of the spans of attention of today’s students? JS: With television and other things its not that great. And you do have kids who are into academics but there are probably less of them than in years past. There are a lot of distractions You should see at the end of a game —not just our team—every body goes for their phone. RB: Personally, I am working on trying to reduce the amount of times I check my e mail. JS: Yeah and then you’d have 20 or 30 or so. I just talked to our athletic director—if he doesn’t pick it up on the weekend when he comes in a Monday he’s got over a 100. Ridiculous. RB: Yea—You learn that you can e-mail any time and people will respond any time. There doesn’t seem to be business hours for email. So, do you think about retiring? Is there a required age? JS: My father is 98 year old and I keep telling him to do crossword puzzles especially when he starts forgetting stuff. But he’s still sharp. He still drives. RB: How does he do? JS: Great. His whole reason for being is to get a great deal on groceries. So there are three places he goes. He say’s ,”Joe , these grapes were $3 here and a buck ninety eight there.” That keeps him sharp. RB: Do you still go to major league games? JS: Once in while. I’m going to tell you something —if I could go to a [American] Legion game or the Red Sox, I would go to a Legion game. The kids, just watching those kids play how they handle stuff. I scouted a lot of games this year. What I saw, the biggest play—double plays —you have to get get one. I can’t tell you how many times I have seen a big inning because they rushed the double play. RB: Thanks so much for your time and this conversation. JS: Yeah, at some field.